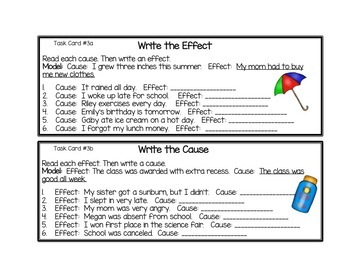 Cause and Effect! 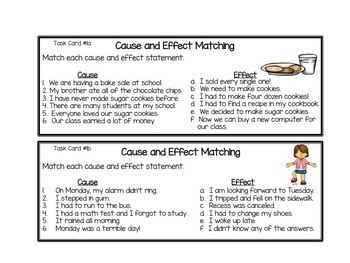 These Cause and Effect Task Cards are larger than normal (6 questions each) so students can work on just one card. More advanced students may complete more than one card. There are multiple tasks on each card and cards vary in levels of difficulty. 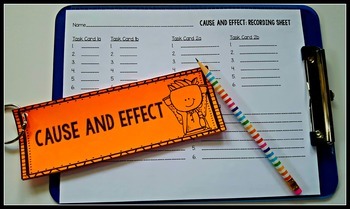 These cards can be used with those students still needing a little help with cause and effect and those who are ready for a more challenging exercise. These cards are great for literacy centers, Daily Five, early finishers and small group intervention! OR place a card on a projector screen for morning work or a warm up. 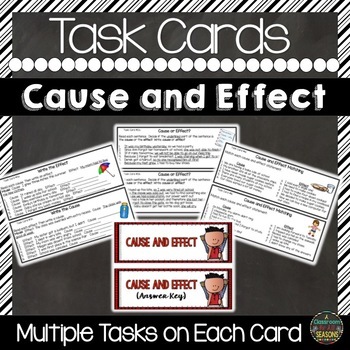 Some buyers have also used these task cards in a classroom scavenger hunt. Want more Cause and Effect?